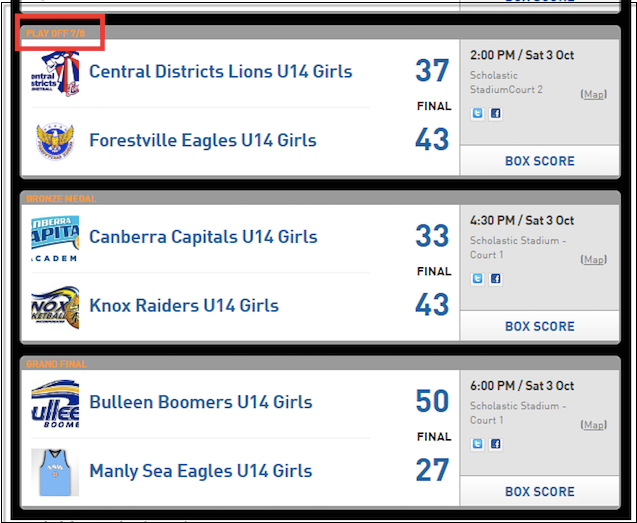 There are numerous ways to edit a fixture. To edit a single match in a fixture, follow these steps. 2. Click on the magnifying glass next to the competition you wish to edit. 3. 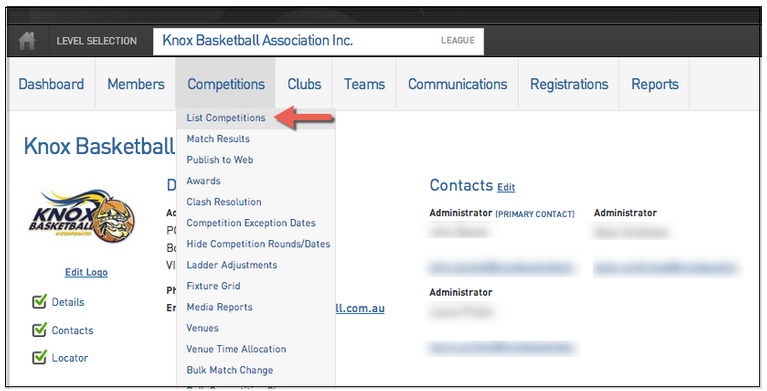 Once you have selected the Competition, click on Fixtures which will display the fixture list for the Competition. 4. 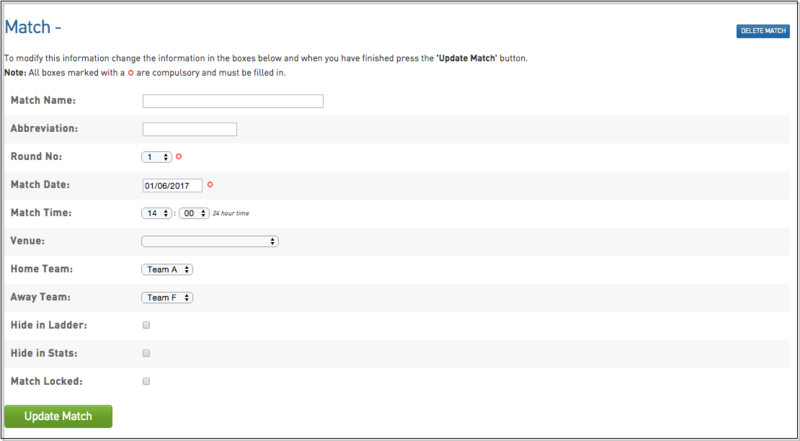 You will now have the following options to edit a Match Fixture. To Edit all details of a Match, including adding a Match Name, moving a Match to another Round or to Delete a Match, click on the Edit Match Icon: which will open the match details which you can edit and Update Match. If you do make any changes to the Fixture Grid it is important that you click on the Save Changes button in the bottom left of the Fixture Grid otherwise your changes will be lost. 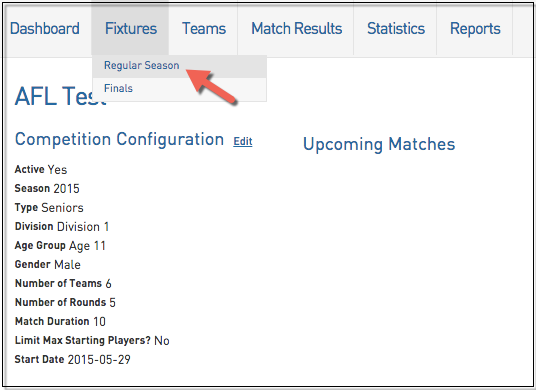 Should you wish to generate your fixtures from scratch again, simply click on the Redraw Fixture link at the top right of the Fixture Grid and the fixture will be generated again based on the Fixture Template and teams assigned to the Competition. Note: all manual changes made to the fixture (as per instructions above) will be lost when the Redraw Fixtures option is selected.